Navis offers full White Glove Service, including placement of items into your room of choice. Navis also provides complete debris removal of all packing materials, including heavy crates or pallets. What kinds of service is White Glove Delivery used for? At Navis Pack & Ship, we understand the need for this premium service and have years of experience packing and shipping delicate and valuable items. We know there’s not a second chance to get it right when it comes to the protection and delivery of your items. 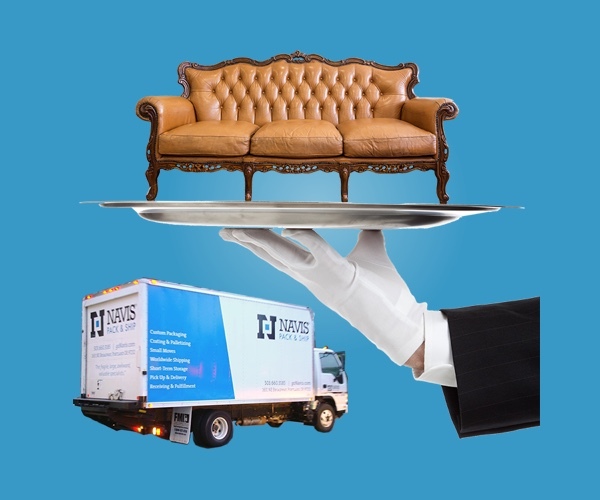 And, our White Glove Delivery Service is tailored to fit your budget and scheduling needs. We can handle all aspects of the shipping process including pickup, packing, crating, and declared value coverage. Call to check availability for White Glove Service at your desitnation.